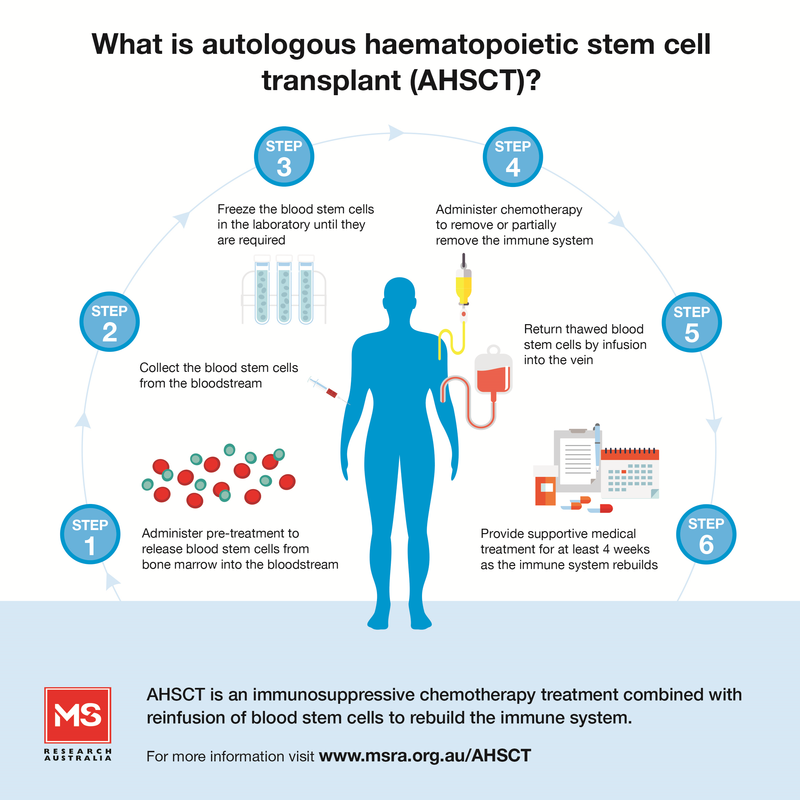 What is Autologous Haematopoietic Stem Cell Transplant (AHSCT)? Haematopoietic stem cells are a type of adult stem cell found in the blood and bone marrow. Haematopoietic stem cells are able to generate new blood and immune cells. Autologous haematopoietic stem cell transplant (AHSCT, also known as bone marrow transplant) used for MS is similar to the chemotherapy treatment used to treat blood cancers – chemotherapy is used to eliminate the immune system, and then the blood and immune system are restored, in this case, using the patient’s own (autologous) blood stem cells. The aim is to ‘re-boot’ the immune system so that the self-reactive immune cells that are attacking an individual’s nervous system are removed, and replaced with the regenerated immune system, which is thought to be more ‘self-tolerant’ and less likely to continue attacking the body. The stem cells are not thought to contribute to repair of the nervous system, but are primarily used to restore the blood and immune system following the immuno-suppressive chemotherapy treatment. Pre-treatment to release bone marrow stem cells into the blood. Collecting or ‘harvesting’ the AHSCs from the blood of the patient. Freezing (cryopreserving) the AHSCs in the laboratory until they are required. Administering immuno-chemotherapy to remove the patient’s current immune system (conditioning). Returning the thawed AHSCs to the patient by infusion into the veins. Supportive medical treatment is provided in the immediate period following transplant when there is a high risk of infection and bleeding disorders due to the intense immune suppression. If you have been, or are going to be, treated with AHSCT for MS, and would like to have your data included in the registry, please contact us or visit the FAQ page. What is MS Research Australia’s position on AHSCT? Autologous haematopoietic stem cell transplant (AHSCT) is an immunosuppressive chemotherapy treatment combined with reinfusion of blood stem cells to help re-build the immune system. It has been used to treat a small percentage of people with multiple sclerosis (MS) in Australia and internationally. MS Research Australia deeply understands and fully acknowledges that people with MS will wish to explore all potential avenues of treatment. AHSCT is playing a role in the range of treatments available to treat MS, however, in order for this to become a standard therapy in Australian clinics and hospitals for people with MS, further rigorous evidence for the effectiveness, safety and most appropriate use of AHSCT is still required. Hospitals must also be able to weigh up the evidence for the relative risks and benefits when making decisions regarding the provision of such treatments in an affordable and equitable manner. Currently the treatment is provided in Australia through two observational clinical trials and by a limited number of centres on a case by case basis. As each person’s situation is unique and as MS Research Australia does not have a direct role in the treatment of MS, it cannot recommend any specific treatment for people living with MS. Decisions about any MS treatments, taking into consideration the potential benefits, risks and side effects for an individual’s particular circumstances, should be made in careful consultation with each individual’s neurologist. MS Research Australia has worked with Australian haematologists, neurologists and members of the research and MS communities to develop a position statement on the use of AHSCT for MS with guidance on its possible place within the range of treatment options for MS. This position statement has been developed with reference to the current data published in the international peer-reviewed scientific literature – an overview of this data is discussed below. You can download the MS Research Australia AHSCT Position Statement here. What is MS Research Australia doing in relation to AHSCT? MS Research Australia (with the support of the MS Society of Western Australia) has been funding the Australian MS AHSCT Registry since 2012 and working with haematologists and neurologists to gather and analyse further data on Australians with MS treated with this procedure. This will contribute to the continuing international effort to better understand the role that AHSCT may play in the range of treatments available for MS.
MS Research Australia continues to advocate for Australian neurologists and haematologists to work together to deepen our understanding of the safety and efficacy of AHSCT for MS. There may be some people with severe MS in Australia for whom AHSCT represents their best, or only, option for effective treatment. MS Research Australia works closely with MS Australia, the national advocacy body who has as one of their priorities to encourage dialogue between hospitals, state health departments, haematologists and neurologists to ensure that treatment can be provided in Australia for those who need it. MS Research Australia together with MS Australia continue to advocate to the federal government for accessibility to all suitable treatment options for people with MS in Australia. MS Research Australia is actively reviewing AHSCT studies as they become available and reporting on them via the MS Research Australia website and various communication channels. MS Research Australia is helping raise awareness of AHSCT by producing various educational materials. MS Research Australia (with support from the MS Society of Western Australia), is coordinating and funding the Australian AHSCT MS Registry – this registry is overseen by a steering committee of Australian haematologists and neurologists, and aims to gather data and monitor the outcomes of Australians treated with AHSCT for MS. This important Registry will add to the data being gathered world-wide on treatment effects, patient characteristics and outcomes, and long term prognosis. Together with the international evidence, the Registry aims to assist in better understanding how AHSCT can be used as part of the range of treatments available for MS as safely as possible and in the right circumstances. Currently, the Registry is collecting and analysing this data, including longer-term outcomes. The results will be published and made available to the community as soon as is practical. If you have been, or are going to be, treated with AHSCT for MS, and would like to have your data included in the Registry, please contact us at enquiries@msra.org.au. We will put you in touch with the Australian AHSCT MS Register Research Fellow who will provide you with more information and will need your consent to contact your doctor(s) to access clinical notes and data. Please note that this registry is only for the follow up of people who have received, or are receiving, AHSCT under the care of their treating doctors. MS Research Australia is unable to assist people to access this form of treatment. People with MS are urged to contact their specialist MS physician for more information. What is known about the efficacy of AHSCT to treat MS? Despite AHSCT having been used in the treatment of blood cancers for several decades, and despite a considerable number of people with MS having received this form of treatment internationally, it is still considered ‘experimental’ for the treatment of MS as its safety and efficacy has not yet been tested in sufficiently large gold-standard, randomised controlled trials specifically for MS and in comparison to currently available MS therapies. A number of observational case series of patients undergoing AHSCT for severe MS have been published in the peer-reviewed scientific literature over the last 10 to 15 years. The results of these studies have been variable but similar themes are emerging1,7,19. Generally the outcomes have shown that people who are younger and who still have active inflammatory disease (new lesions on MRI scans and/or relapses) may achieve better outcomes for reducing or stopping disease activity. While disability appears to stabilise, or in some cases improve, in many people with relapsing remitting disease, the majority of the studies show that recovery from more long standing disability is unlikely and disability continues to accumulate. See more details below on the large published European case series1 and a number of smaller observational studies and clinical trials. To date in Australia, AHSCT has been used at a number of different centres to treat around 50 people with MS who had not responded to standard MS therapies. The results from the Australian patients are yet to be published, but the data, including longer-term follow-up data, is currently being collected and analysed by the individual haematology centres involved and also in a combined approach by the Australian AHSCT MS Registry. What is known about the safety of AHSCT to treat MS? 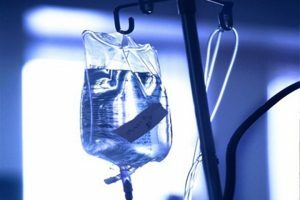 The intense immune suppression associated with chemotherapy can leave people vulnerable to severe infections and bleeding in the immediate period following the procedure, which may be life-threatening and require intensive medical support. However, advances in supportive care have seen the mortality risk decline in recent years. Experience with AHSCT in Australian patients, the majority of whom are treated for blood cancers, suggests that AHSCT has a transplant related mortality (TRM) rate of around 1% in the immediate 100 days following transplant4. The large European case series of AHSCT in people with autoimmune diseases recorded an average TRM of 1.3% for people with MS treated between the years 2001 and 20077. A number of different chemotherapy regimens were included in this series7. Some recent, but smaller, published studies have not recorded any deaths6,8,9,10,11. No transplant related deaths have been recorded at the Australian centres that have provided this treatment to people with MS (unpublished data, Australian MS AHSCT Registry and the Australasian Bone Marrow Transplant Recipients Registry4). Despite the decline in mortality from the procedure, the risk of infections from bacteria, viruses and fungi, that would not normally affect people with an intact immune system, remains significant. These infections can result in prolonged hospital stays and, in some cases, may be associated with worse neurological outcomes5,10, 20. Experience with treating blood cancers over many years, as well as autoimmune disorders, suggests that there may also be longer-term adverse effects of HSCT, such as effects on other organs, including heart liver, kidney and bone health, reduction in fertility, secondary cancers and secondary autoimmunity5. In a USA study, the use of ATG in the conditioning regimen was associated with a 2% risk of secondary autoimmunity, particularly of the thyroid15. The risks of AHSCT will differ depending on the form of chemotherapy used and this should be discussed with the treating haematology centre. Could AHSCT make MS worse? In the majority of the studies reported above there has been no evidence presented for AHSCT treatment causing an exacerbation or escalation of MS progression, although the risk of MS relapses is known to be higher in association with infections20 which may occur during the period of immune suppression following AHSCT. In the Chicago case series discussed above the authors noted that sustained fever during hospitalisation for HSCT was associated with higher disability several years later in comparison to those who did not experience sustained fever10. In most of the studies there have been a proportion of patients who continue to experience MS disease activity following treatment, but studies have not documented changes in the frequency of relapses or MRI lesions from the pre-transplant to post-transplant period in those who do not respond to AHSCT following treatment. Canadian and Italian studies have both shown that there is an initial rapid loss in brain volume following AHSCT, but that after this period brain shrinkage then continued at a similar or slower rate to that seen prior to AHSCT12, 13. What does AHSCT do to the immune system? Some researchers have examined the profile of immune cells found in the blood of people with MS following AHSCT. These studies have suggested that it is not long term immune suppression that accounts for the effects of AHSCT on MS, but rather a re-setting of the profile of different types of immune cells in the blood. Studies have shown that white blood cell numbers return to pre-transplant levels within two years following myelo-ablative immuno-chemotherapy14, 18 and these studies, and others, show that new T-cells are generated and these cells demonstrate a more diverse range of subtypes. While T-cells that react to components of myelin may not completely disappear following AHSCT, the balance appears to be shifted to a more ‘self-tolerant’ and less inflammatory status14, 16, 17, 18. More research is needed to fully understand the long term effect that AHSCT has on the immune system. What research is underway in Australia for AHSCT in MS? Currently two Australian sites are conducting formal observational studies of AHSCT for MS with similar entry criteria. One is at St Vincent’s Hospital Sydney (view details here) and one at the Austin Hospital (more information here). These trials have strict eligibility requirements approved by a hospital ethics committee and may only apply to limited numbers of patients with MS. It is for this reason that both sites require patients to be referred to them by a neurologist including a detailed clinical history and MRI findings. These centres and other Australian centres that are providing the treatment on a case by case basis are also contributing data to the Australian MS AHSCT Registry. The EBMTR has published a large case series of AHSCT provided for autoimmune disease between 1996 and 2007 including 345 people with MS1. 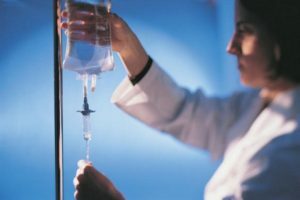 A range of different chemotherapy regimens were used in this series, which also included people with relapsing remitting MS, secondary progressive MS and primary progressive MS. This data suggests that in approximately 55% of MS patients at three years of follow-up, inflammatory disease was halted with no evidence during the follow-up period of relapses, active lesions or disability progression. After 5 years, approximately 45% of people remained progression free (no lesions, relapses or disability progression)1. Overall 13 of 345 (3.7%) people with MS treated between 1996 and 2007 died of transplanted related causes1. In the acute 100 day post-transplant period, Transplant Related Mortality (TRM) was 2% for the entire series. However the 100 day TRM declined to 1.3% for people with MS treated between 2001 and 20077. TRM was closely related to the level of experience of the transplant centres1. The authors of the study were unable to draw any conclusions about the relative efficacy of the different chemotherapy regimens. The ASTIMS trial6, published in March 2015, compared AHSCT (using BEAM-ATG chemotherapy) to mitoxantrone (a potent immunosuppressive treatment sometimes used for the treatment of MS) in 21 people with relapsing remitting or secondary progressive MS. The trial showed AHSCT to have a significantly greater effect on reducing relapses and evidence of lesions on MRI compared to mitoxantrone. This trial did not show any reduction in disability. Eight of the 11 people treated with mitoxantrone experienced adverse events. All of the nine people treated with AHSCT, experienced expected adverse events, including low white blood cell count, fever, low platelet counts, anemia and diarrhea. No transplant related deaths were recorded, however, four of the nine AHSCT patients experienced severe adverse events (two of which were described as life-threatening) including sepsis, severe infections and late or failed engraftment of the re-infused stem cells. A Swedish study published in February 20148 enrolled 48 people with MS to look at the safety and effectiveness outcomes of AHSCT using either BEAM-ATG or Cyclophosphamide-ATG regimens. 41 of these patients were followed for greater than one year and included 34 with relapsing remitting MS and 7 with progressive forms of MS. The patients were followed for an average of close to 4 years with some followed for up to 9 years. At 5 years of follow-up 87% of participants had not experienced a relapse and 77% had not progressed based on EDSS scores, 68% had no disease activity (no relapses, no new MRI lesions and no disability progression). This study showed a significant difference in outcomes for patients who had gadolinium enhancing lesions prior to treatment compared to those who did not (79% of those with such lesions had no disease activity vs 46% in those who did not). No differences in efficacy were apparent between the two chemotherapy regimens, but the numbers in the Cyclophosphamide-ATG group were too small to make a reliable comparison. No transplant related deaths were recorded in this study and no patient required treatment in the intensive care unit. Almost all patients experienced acute toxicity during the hospitalisation period, with the expected side effects of hair loss, anaemia, low white blood cell counts and low platelet counts and half experienced infections. Later adverse events, following release from hospital, included reactivation of herpes zoster viral infections (8 patients) and thyroid disease (4 patients). The three year interim data from the five year HALT-MS US trial was published in December 20149. 25 people with relapsing remitting MS were treated with a BEAM-ATG protocol. This study reported 78% of participants as ‘event-free’ after three years (defined as no relapse, no change in disability level and no new MRI lesions), and 58% at five years. At the three year time point, 91% of participants did not show any worsening of disability, whilst 86% of participants did not experience a clinical relapse. All participants experienced serious adverse events which required medical intervention in the first 100 days following transplant, most of which were related to blood and gastrointestinal systems. There was no transplant related mortality. Publication of the full results of this study is expected once five year follow-up has been completed for all patients. Dr Richard Burt and colleagues at Northwestern University, Chicago published their case series of 123 people with relapsing remitting MS and 28 people with secondary progressive in January 201510. Participants were treated with the non-myeloablative Cyclophosphamide-ATG regimen (129 patients) or with Cyclophosphamide-Alemtuzumab (22 patients). The study found that after one year, 57 of 112 patients showed some evidence of improvement in disability scores while 19 showed evidence of disease progression. 80% of the 36 participants who were followed for 4 years were relapse-free and 87% showed no progression of disability. At the time of publishing, only 27 patients had been followed for 5 years, but 14 of them showed evidence of improvement and 4 showed evidence of disease progression, the rest remained stable. When relapsing remitting and progressive MS cases were analysed separately, the study identified that the improvements in disability were strongest in the participants with relapsing remitting MS with duration of disease less than ten years. There were no transplant related deaths. Four patients developed late reactivation of herpes zoster infection (shingles). Severely low platelet counts and thyroid dysfunction was recorded in 6.9% of patients treated with the Cyclophosphamide -ATG protocol and 22.7% of patients treated with the Cyclophosphamide -Alemtuzumab protocol. This research group is now leading an international multi-centre randomised clinical trial of AHSCT in comparison to other MS therapies. The trial, known as MIST, has sites in USA, UK, Sweden and Brazil (more information here). Encouraging results for three of the patients from the UK arm of the MIST trial have been featured in the media, however, we await with great interest the full results of the trial, which has enrolled at least 100 patients and is due to be completed in 2017. In February 2015, clinicians at the Pirogov National Medical Surgical Centre in Moscow published a case series of 99 patients with MS (43 relapsing remitting and 56 progressive MS) treated with a reduced-intensity BEAM-like regimen at the centre11. 83.3% of relapsing remitting patients remained ‘event free’ after an average of 4 years follow-up and 75.5% of progressive patients remained ‘event free’. Of patients followed up for 8 years, 16.7% showed progression of disease. Of the 64 patients followed for three years or more, 47% were described as having improved disability scores by at least 0.5 points. No deaths were recorded, but the paper did not include details of adverse events or the number of patients affected. We are aware that many overseas patients including Australians are also treated at this centre and may receive a conditioning regimen that differs from the one described in this publication. Details of conditioning regimens used for overseas patients at this centre and treatment outcomes have not yet been published in the medical literature. The National Health and Medical Research Council Resource for physicians Stem Cell Treatments – a Quick Guide for Medical Practitioners (2013). The National Health and Medical Research Council Resource for patients considering stem cell treatment Stem Cell Treatments – Frequently Asked Questions (2013). These NHMRC resources cover all types of stem cell therapies and are not specific to AHSCT or MS. However, the considerations and suggested questions for patients to ask of treating centres are relevant for people who may be considering travelling overseas for AHSCT for MS. The Stem Cells in MS Booklet produced through a collaboration of international MS societies including MS Research Australia and the MS International Federation (reprinted 2010). 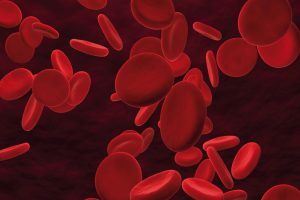 Does our blood contain early markers of MS?